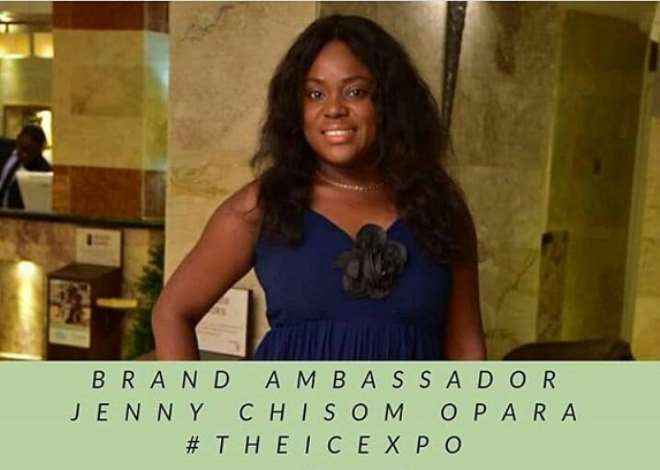 The organisers of the much anticipated food expo - the International Cuisine Expo unveiled Blogger, Jenny Chisom as their first Brand Ambassador. This information was made available on their Social Media platforms @theicexpo with people congratulating the brand for making a good choice. According to the brand promise, the choice of a Brand ambassador is informed by the fact that Jenny Chisom has a global reach as a blogger of almost a decade. They also shed light on her strides as a major influencer in Nigeria's capital city in Abuja, with multiple awards validating that, most recent being the Papyrus CEO Awards she won for empowering youths in the FCT as well as the Woman on Fire Awards she was honoured with her in May 2018. The International Cuisine Expo is the largest food tourism event in Nigeria with over 25 International cuisines expected in a day long atmosphere of good music, comedy and craft. The famous Nigeria Jollof rice and Ghana Jollof rice will be on exhibition too. The official MC of this epoch making event is the spontaneous Comedian and stage act Chuks D General and the official DJ is the talented DJ DannyMix. The anticipation is high and major diplomatic circles will be well represented on the November 11, event billed to take place at Riverplate park, Wuse 2 Abuja. International cuisine Expo is convened in collaboration with Relish Kitchen and Unlimited Ideas.